Mangroves occur along tropical coastlines and are considered one of the most important ecosystems for nature and people. They are havens for biodiversity, provide rich fisheries resources and protect communities against storms and erosion. They also regulate our climate by sequestering and storing large amounts of carbon. 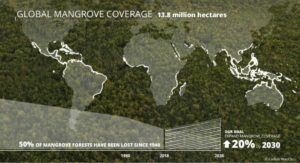 However, worldwide mangroves are under threat from large scale infrastructure development and expansion of agriculture and aquaculture. As more and more people live along our coasts these pressures increase rapidly. To save our mangroves for future generations, it is crucial to work together. The different organisations of the alliance all have experience in these areas. We have all dealt with a variety of community groups and learned valuable lessons from these experiences. In Guinea-Bissau, for example, we established community-based protected forests and involved local community groups in the protection of the buffer zone of Cacheu national park. 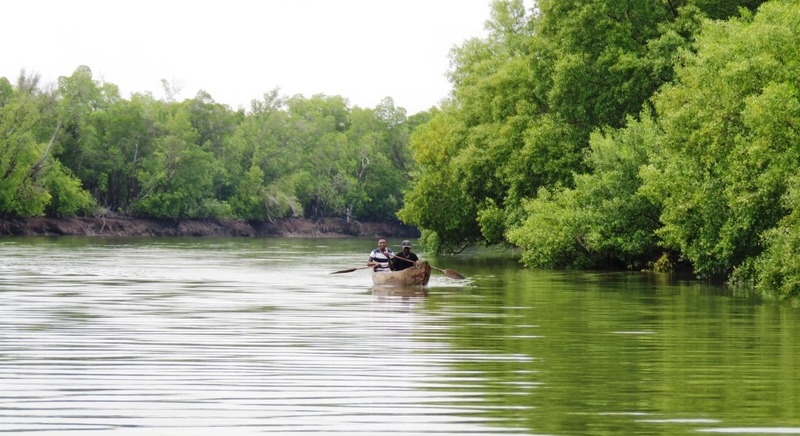 By reviving traditional natural resources management arrangements, we have enabled local community groups to become stewards of their natural environment (see our publication on the project in Guinea Bissau here). In other countries, we have experienced how local policies can either support local stewardship or be a driving force to local degradation. In our brainstorm, we considered what we can do to ensure mangrove conservation and restoration are mainstreamed into relevant policies. We explored bottom-up approaches where we help communities to put mangroves on the agenda. We also looked at top-down approaches for example by informing global and regional development strategies, by influencing procurement policies of financial institutions or by strengthening policies that promote more sustainable supply chains for mangrove commodities. Collaborating through a science committee, the GMA will introduce key information on mangrove threats and values into policies thereby providing strong arguments to protecting our mangroves. We also agreed to develop a toolkit of model policies, which can easily be adapted to different contexts. On a regional level, we can use the alliance to align our messages. That will make our voice much stronger and unified, and make us a credible source. We have no lack of ideas on the thematic focus of our policy work: amongst others, we plan to promote mangrove-based climate change adaptation and mitigation strategies, introduce green infrastructure solutions as an alternative to conventional grey infrastructure solutions and will help governments to further improve their mangrove restoration strategies. Recent studies in the Philippines and Sri Lanka show that less than 20% of restoration projects are successful. Governments and NGOs set area targets for restoration, often without any requirements in terms of the quality of the restoration. These ill-considered targets, combined with a lack of knowledge lead to failure of restoration. For example, many projects have been planting unsuitable species in unsuitable locations, in the wrong time of the year, and without making sure enabling conditions for mangrove recovery are in place. Part of the Africa team with whom we developed a proposal. Photo via Global Mangrove Alliance. After all the conceptual thinking, it was time to get concrete. The workshop group was split into regional teams who developed proposals for their respective geographies. For the Africa region, in which I was present, we developed a proposal focused on science and policy. We really tried to make use of our respective specialties, and to incorporate the insights we got through our problem- and solutions analysis. By specifying clear roles and responsibilities, we developed a strong proposal for a project in multiple African countries. Amongst others, we identified opportunities for using NASA’s remote sensing information as input to policy dialogues that are coordinated by IUCN. 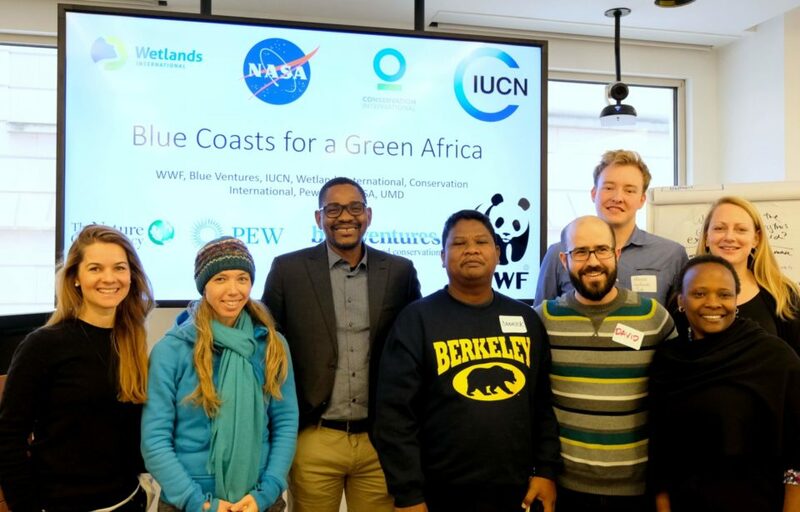 And we brainstormed how a work package on community-based mangrove management coordinated by Wetlands International could subsequently be connected to this policy work. Featured photo of Rufiji resident on his way by Menno de Boer. This blog by Menno de Boer (menno.deBoer@wetlands.org) originally appeared on the Wetlands International website. Reprinted here with permission.